There’s a reason why Floridians shudder when they hear the name “Irma.” Making landfall in southern Florida as a powerful Category 4 hurricane in 2017, the massive storm left debris and power outages in its wake. As in other parts of the state, people in the coastal town of Palm Springs were concerned about the high winds and torrential rain. However, in the Springdale community of more than 400 townhomes, some residents were a bit less concerned than others — thanks to their Bellaforté Shake roofs overhead. Boasting a Class 4 impact resistance rating and able to withstand winds up to 110mph, the DaVinci roofs helped protect townhomes in the Florida community. 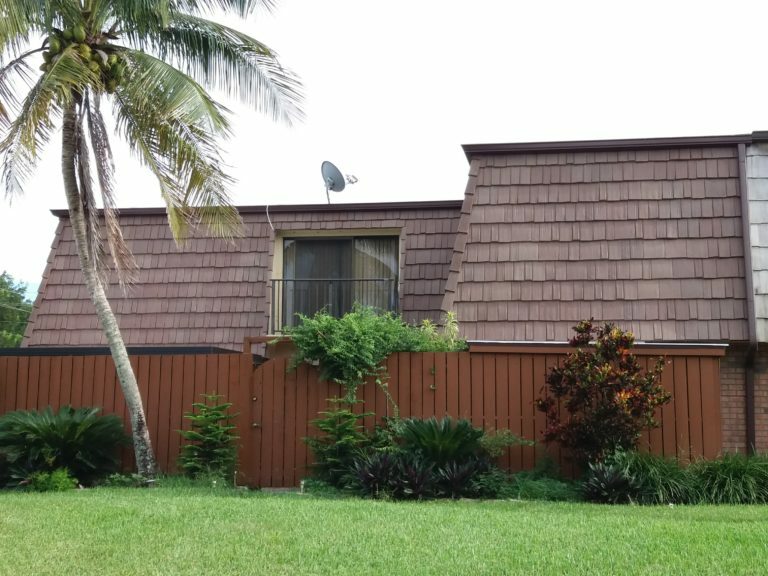 Manufactured to achieve Miami Dade Code Approvals, our durable composite shake roofs stood up to Mother Nature. This isn’t the first time we’ve shared news of the Springdale community. 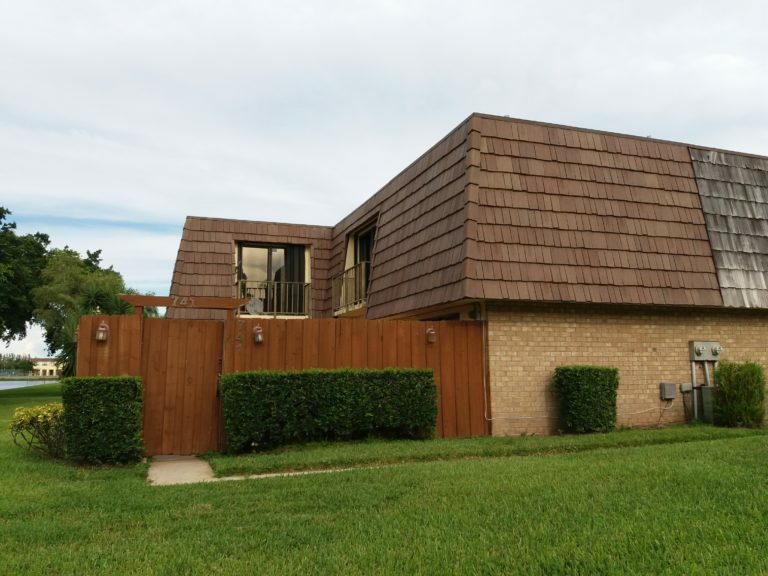 In a 2016 blog, we reported that the first homeowner in the community had received her new Bellaforté roof and was proudly showing it off to her neighbors. 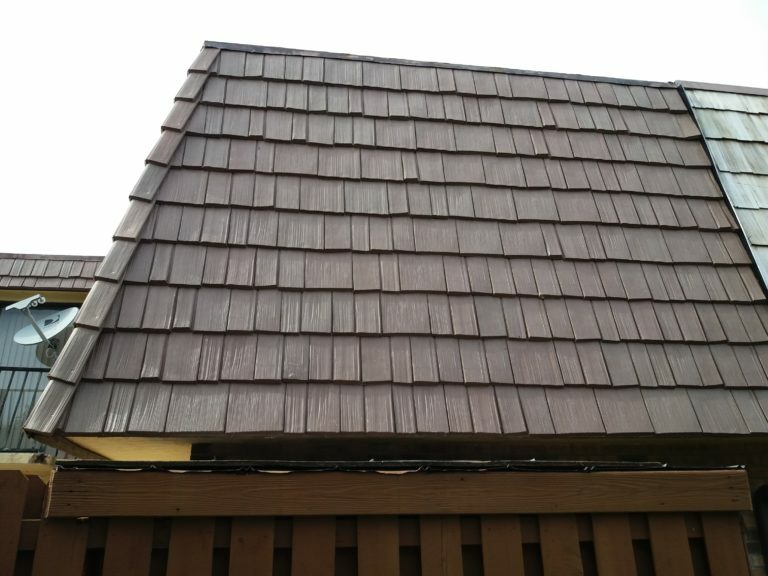 Since that time, installers from Trusted Construction have been working to replace many older cedar shake roofs. DaVinci composite roofing, when applied in a mansard-style, can actually help protect a structure. Mansard-style roofing, which goes vertically down the side of a building, serves as a “long roof extension” or the siding of a structure. With durable DaVinci roofing used in mansard applications, a structure has more protection from Mother Nature. Although the replacement of the real cedar roofs in the community is a staggered process, the project continues at a fast rate. Thanks to the efforts of the team at Trusted Construction and other roofers in the area, many more townhomes at Springdale will soon have composite shake roofs — hopefully before Mother Nature decides to come for another visit.